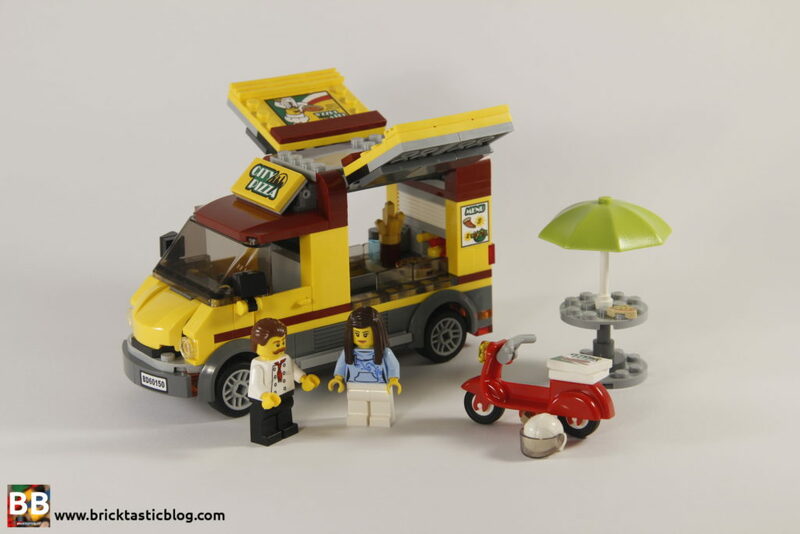 Of all the cuisines in every LEGO town around the world, there is one that dominates the menus – pizza. 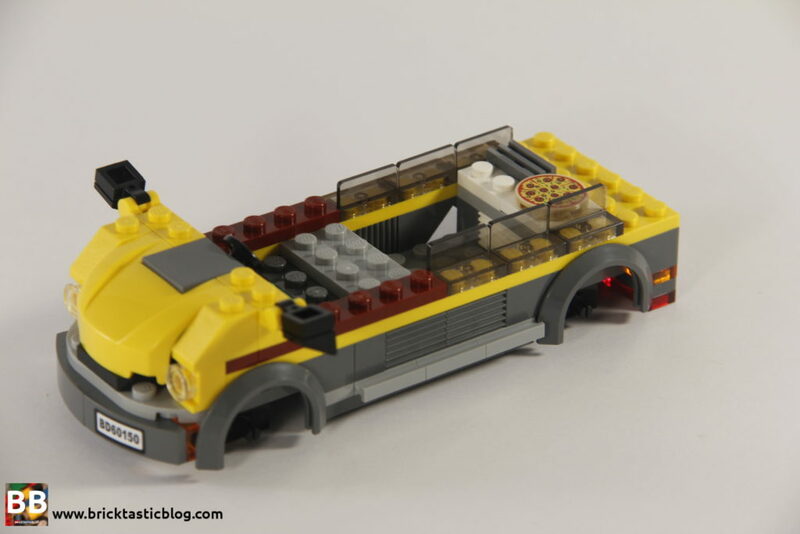 Ever since the first LEGO pizzeria opened for business in 1994 (that’s 6350: Pizza To Go for those of you playing at home), the pizza business has been booming. It’s appeared in plenty of other sets, including popping up in Paradisa, being fed to cats (I don’t think this is a good idea), been made available as a quick transit bite in the early 2000s, used as a replacement for a Christmas ham, shown up in Heartlake City and DUPLO, Batman has saved it, the Ghostbusters are fans, and it’s even gone intergalactic! That’s a lot of pizza, and now it. 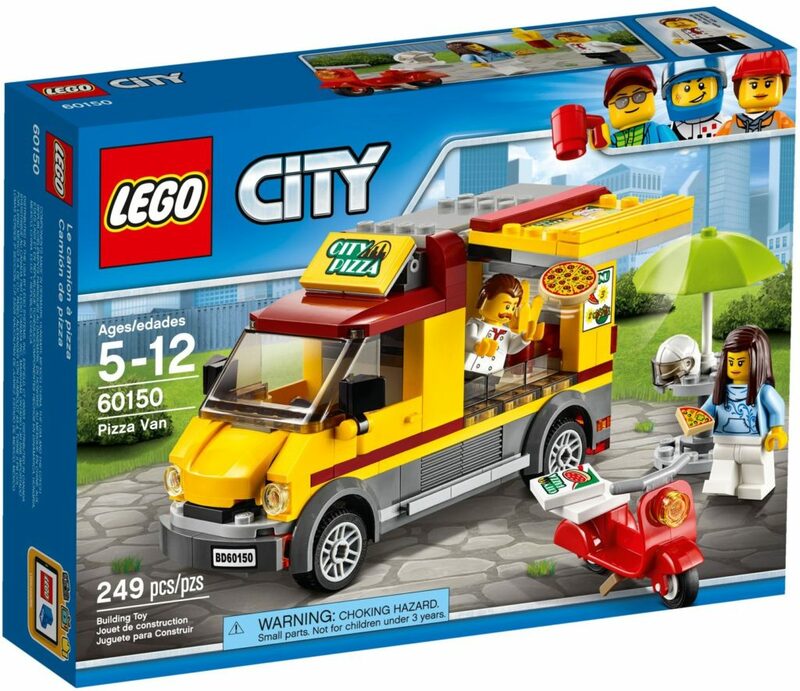 I’ve been chasing 60150: Pizza Van for a while now, but was determined to not pay full price. As we’re expecting our first child in the coming month or so, we were out and about chasing down some baby related supplies, when I saw the Pizza Van on sale. I immediately grabbed a copy, and opened it a few days later. What did I find? You’ll have to read on to find out. Inside the box will be two numbered bags, with two instruction booklets, and a small sticker sheet with eight stickers. 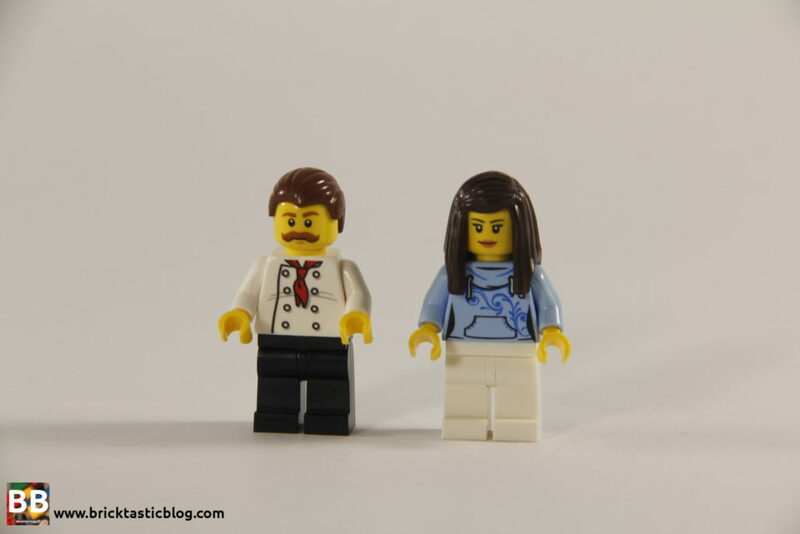 As usual, let’s take a look at the minifigures, and there’s two of them – the customer, and the chef. They’re relatively standard for a City set, with a few exceptions. The female is wearing a nice blue hoodie with white pants, and the chef has the chef’s whites and black pants. The female’s hoodie is unique to this set and it’s really nice to see a new design for a torso. There’s also a white helmet included, so the female’s hairpiece can be removed so she can ride away with her dinner. To me, the chef looks a little strange without a chef’s hat, but it’s always nice to have something different. The torso is only in three other sets, one of which being a harder to access LEGO Education set, so the little red neckerchief is very welcome. Other great parts of course include the new full pizza and pizza slice. 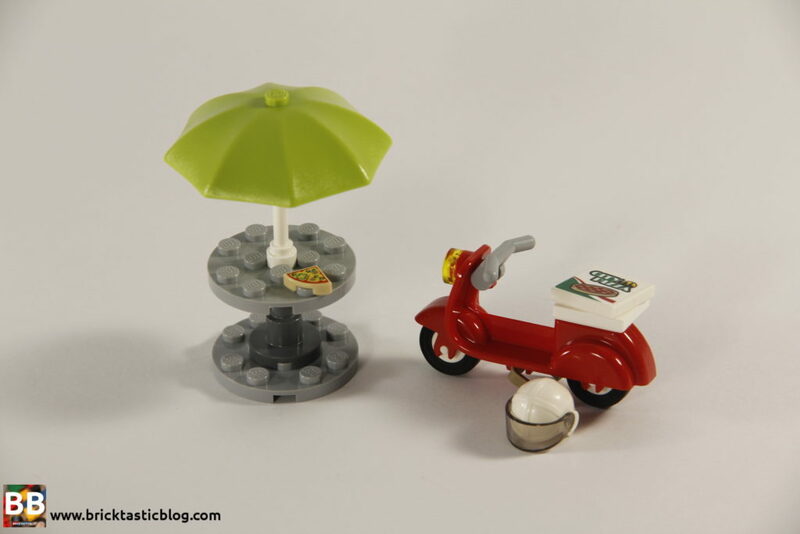 These two aren’t in many sets together, with the only other option being 41311: Heartlake Pizzeria from LEGO Friends. I love these two elements – I only wish I had more! There’s also a 1×1 square calculator tile, and a 1×1 round can top, some excellent and rare chips and a red scooter, just to name a few. Oh, and the green umbrella! It looks quite a bit like the classic umbrellas, which is a nice touch. The beauty of City sets is that they’re great to drive around the carpet or desk. This one is no exception. From ordering pizza, fries and a drink, to cooking them, delivering, eating (but only while standing up) and more, this set has plenty of fun in store. 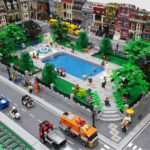 Add it to a city scene and you’ll have a lot of options! There is one problem with it though – the roof is not easily removable. Sure, you can take it off, but you end up removing a fair few other parts with it, so playing inside the van will be either more difficult, or will require a bit of dismantling first. Adding some tiles would fix this, and I’m surprised that the designers didn’t factor this in. The build process is simple and smooth, and starts with the table and scooter. Once they’re out of the way, the van building begins, with the chassis. Like many six stud wide builds, it’s a straight forward build, but enjoyable nonetheless. The cab is somewhat different to many other City vehicles, and it’s honestly something I noticed only after finishing the build. There’s no coffee cup on the dash, and more importantly, no seat! There is enough room for a minifigure to sit, but not enough for the slight overhang of the backrest. 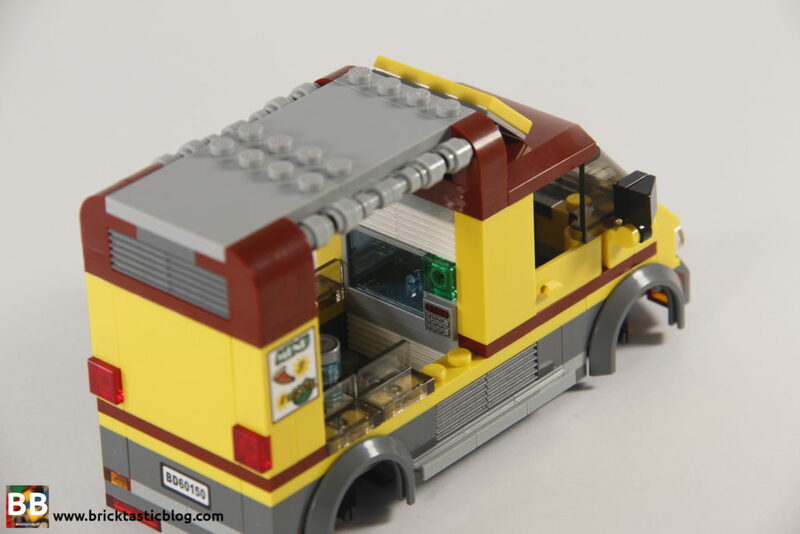 As the second bag is opened, the details in the rear of the pizza van are added, including the oven, cash register with an order ready to go, and the roof with double doors. Add the wheels, and it’s all done. There are a few stickers to add throughout the process, as well, and in this case, I think it’s important to add them – sticker haters beware! You might need to succumb to the stickyness. There’s nothing overly exciting about this build – very entry level. For a simple van, I really like the look of this vehicle. The big doors close very neatly, the colour scheme is unique, and I like the detailing in the back – the oven is simple, and the prepared order is superb – the drink and chips are fantastic – I’m definitely going to be reusing the chips idea for future MOCs! It’s a great example of nice parts usage. The umbrella and table are simple and effective, although I’m not sure about the hygiene of leaving a slice of pizza on the table. 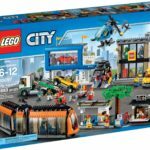 This set is still available from LEGO Shop@Home, for AUD $29.99, which I think is a good price. It’s cheap, and includes some great parts, some of which are not easy to come by. 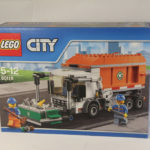 These single vehicle City sets are often seen at discounted prices throughout the year, so snap one up for cheaper and you’ve got some great value for money. 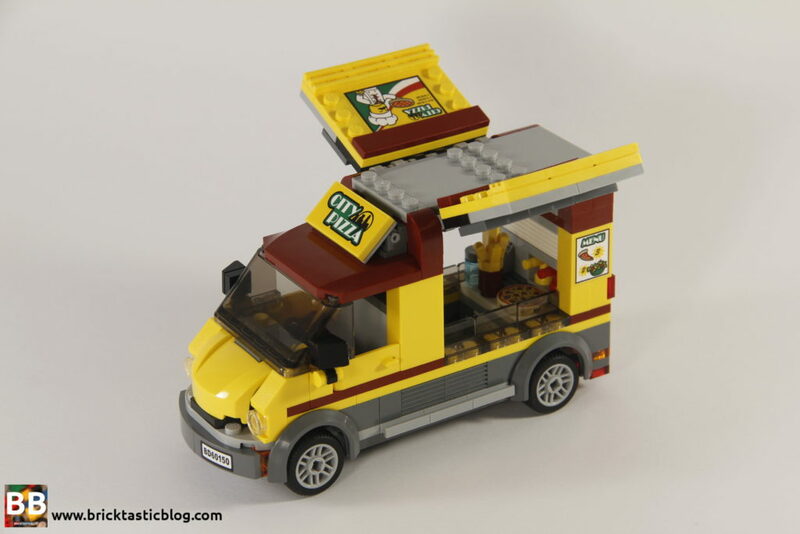 As I mentioned earlier, there are quite a few sets that are focused on pizza, but this is the first version that is of it in a food van! I think it’s one of those sets that will be highly collectible simply based on novelty value. We saw the same thing with the portaloo in 60073: Service Truck from 2015. 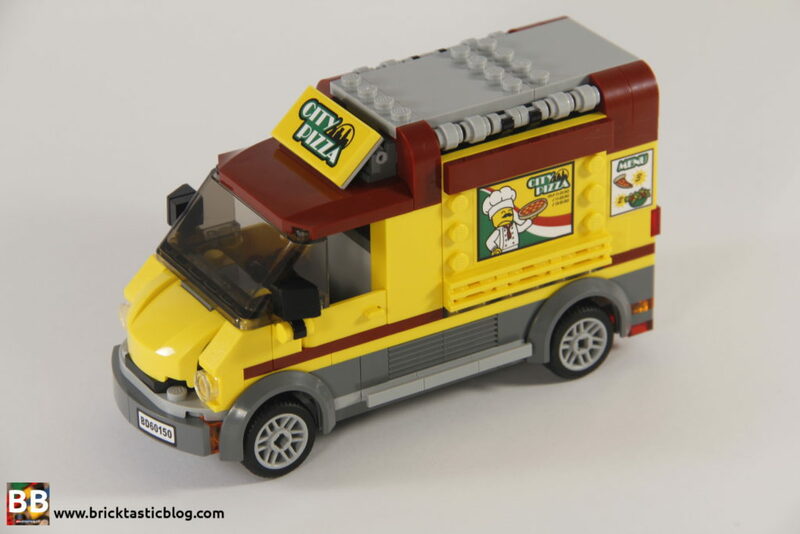 Sure, there are other vehicles you can grab for your city, but they’re not a pizza van! Next week I’ll be away for the weekend for one last holiday before the baby comes, but the week after I’ll be reviewing a Marvel Super Heroes set – 76077: Iron Man: Detroit Steel Strikes! It looks like a lot of fun. What do you think of the Pizza Van? Let me know in the comments below.